How Can a National PLN Support You? Community Manager Brooke Powers details the plans and next steps for the recently debuted Open Up Resource Math 6-8 Curriculum User Community. As I’ve written before, I’ve seen my practice enhanced by the support of other teachers—and I’ve been surprised by how much the support of the national community that I found online was invaluable. Now, I’m watching other teachers have that experience in the Facebook group for the Open Up Resources 6–8 Math curriculum. Educators are having interesting and helpful discussions around topics that range from classroom set-up to pedagogical philosophies and methods. In the past week, I’ve gotten to see deep-dives into things like how to introduce self-contained special education classrooms to the curriculum, year-long vocabulary strategies, and ways to manage and provide access to student geometry tool-kits. I’ve Learned so much! We were over the moon excited with how many high-quality, talented, and passionate educators applied to be Open Up Resources Math 6–8 Gurus. We were definitely spoiled for choice, and it’s our pleasure to announce our four Gurus who are going to help build our Community. Martin has taught all levels of middle school math from 6th grade to Algebra I. He is passionate about Open Up Resources’ equity mission, along with cooperative learning, incorporating technology like Desmos into the classroom, cooperative learning, and 3-D printing. He has spoken and presented at numerous math conferences such as CMC North (and hopes to see you at both CMC North and South this year)! 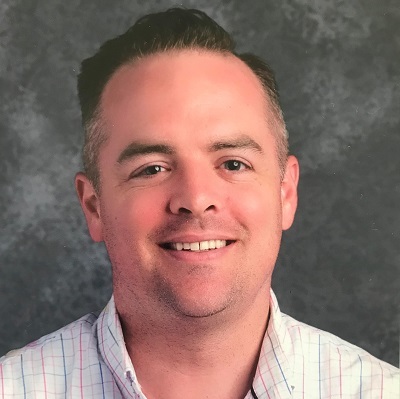 This year he’ll be teaching both 6th- and 8th-grade students and is so excited to learn and grow right along with other 6th-grade teachers as they implement Open Up Resources 6–8 Math this year. 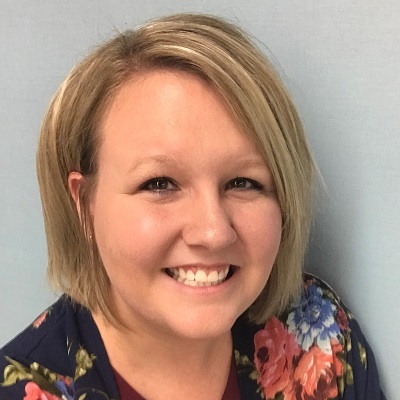 Morgan not only brings experience and knowledge of the 7th grade curriculum, but she is also the lead technology teacher in her building. 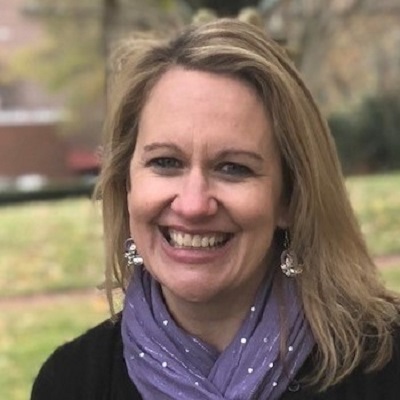 We refer to her as our “Resources Ninja” as she is always creating and developing resources to support students that use Open Up Resources 6–8 Math, and is willing to share them with other teachers from around the country. Morgan also documents her classroom experiences on many social media platforms including #openupmath and the Open Up Math Facebook Group. 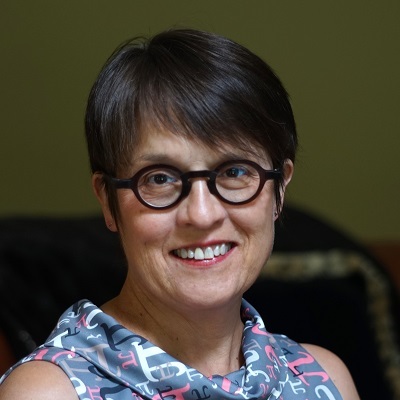 Sara answered the call to be a teacher after 15 years in the retirement planning industry and has been living to learn, create, and share in the twelve years that have followed. Her popular blog captures the essence of her teaching, along with her success using the Open Up Resources 6–8 Math curriculum. Sara’s experience teaching 8th grade math will be a tremendous benefit to our User Community, although she also has experience teaching Integrated Math 2 as well. She is an active part of #MTBoS and has frequently inspired us with her ideas, stories and pictures from her classroom. Our Gurus will help spread the word about this work, facilitate smart sharing of community resources, bring their own voices to the dialogue, and help spot things we can do to support the community. What we’re finding is that smart contributions by thoughtful educators beget more smart contributions, and we hope the Gurus will serve as catalysts for practices that we want to be commonplace in this work: sharing resources and learnings, and helping educators new to this curriculum learn the ropes. We also have plans for a monthly celebration of teachers and instructional leaders who are doing outstanding work with students. We know there are amazing things happening in classrooms, schools, and districts around the country, and we want to bring them more recognition to generate discussion, spark ideas, and celebrate success together. Social media conversations can be powerful…but they only go so far. Sometimes we need to make the conversations happen outside of Twitter and Facebook! (Especially for our educator friends who aren’t on social media.) We’ll be looking for the best ways to support that connection. Webinars and web chats are two of the leading ideas for how we plan to foster dialogue. We recently hosted an Implementation Straight Talk Webinar where leaders and teachers from districts entering year three of implementing Open Up Resources 6–8 Math shared their expertise. The questions asked by the registrants and answers provided by the panelists were so insightful and valuable that we’ve made the recording available here. Our Gurus also have plans in the works for some grade level zoom chats to debut in September so that we can continue to work together in a collaborative PLC model as you reflect on the learning that has already been done in your classrooms and look ahead to your upcoming unit. More details to come soon on participating in those! The most inspiring thing I’m seeing right now: educators sharing resources for the curriculum…things like pacing guides, powerpoints, quizzes, vocabulary cards, standards based grading materials, and more. It is amazing to see educators share their work; I get goosebumps thinking about how this can help all teachers find success with the materials. The good news about a national PLN of educators sharing resources is that it can add up to loads of helpful resources. But loads of resources can be hard to sift through when finding the thing you need, so we’re thinking a lot about how to best curate and organize them. For example: right now, I’m watching educators sharing a flurry of back to school blogs, and they are awesome. As new educators get started with this curriculum later this summer—and as other teachers pilot the materials in 2019 evaluations for the following school year—I want there to be a place to go to find the top ‘getting started’ guidance from their peers. I created this page, which has some excellent resources for educators getting started with the curriculum. As new blogs drop, I’ll update the page so it can serve as a resource that we can share with new teachers as this curriculum inevitably enters more classrooms in 2019 and beyond. We also know that teachers need to be able to find materials specific to individual lessons and units more easily. We’ll have a lot more to say about this in the weeks to come. For now, know we’re busy thinking about it. I’m listening closely for the other areas where we can do things to support the community. Other things we’re thinking about include the need for video exemplars and opportunities for teachers to help coach each other through lesson studies or videos from their own classrooms. If you have ideas for me, please let me know! You can reach me by email with your thoughts. As always, I hope you’ll follow #OpenUpMath, watch @OpenUpResources for updates, and join our Facebook Group to see what all the buzz is about.